They are out of champions league. they lost to roma 3-0. Real Madrid is going to win it again. Thank you for commenting on my writing. I also want to ask do you play soccer? 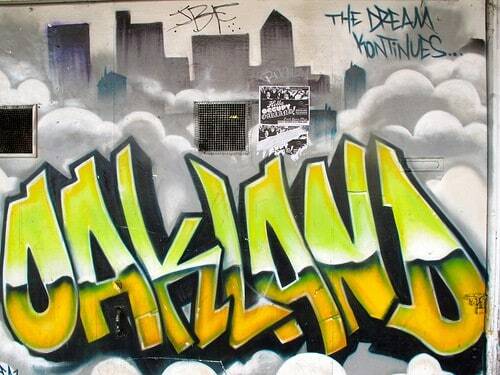 And you right that Oakland needs a history. whats your favorite soccer team? I am impressed with your article “Professional Soccer In Oakland”. One sentence you wrote that stood out for me was, “Oakland should have a professional soccer team because it would inspire Oakland kids.” I think this is interesting because by the time the Raiders and Warriors leave Oakland in 2019, the city should make a newer, professional soccer team. Another sentence that stood out for me is, “Soccer is also popular in Oakland.” This is also interesting because not only Oakland should make a new soccer team, kids think that soccer is the most popular sport in the world. Thank you for your time and your writing. I look forward to seeing what you post next time because I’m really interested in what you have here. Thank you for reading this comment. I am intrigued by your post, “Professional Soccer In Oakland,” because I also believe that having a professional soccer team in Oakland is a good idea. One sentence that stood out to me was, “Firstly, Oakland needs a professional team because it would inspire Oakland kids.” because I completely agree and this would allow inspired students to strive to become a professional athlete. Another sentence that I agree with is, “Secondly since the the Raiders and the Warriors are leaving Oakland there should be a professional soccer team who can replace them because they already have the field” because we should be focusing on how to keep sports as a part of Oakland’s history. Thanks for writing. I look forward to seeing what you write next. I am moved by your post, “Professional Soccer In Oakland” because you show that you really like the sport. You also show that people should care about kids or people who play in Oakland. One sentence you wrote that stands out for me is, “Oakland should have a professional soccer team because it would inspire Oakland kids and Oakland needs a new professional team to replace the Raiders and bring the town together.” It stands our for me because you want to bring the town together by getting a professional soccer team. Soccer should be more than just a sport in Oakland because there are many young teens that are really interested in the sport. Another sentence that I appreciated was, “The most important words in this quote show that even if they are good on the field they are good outside as leaders. Students and kids in Oakland need leaders because they need inspiration.” This stood out for me because by having the sport soccer, teens become more responsible of themselves when it comes to school and soccer. Thanks for your writing. I look forward to seeing what you write next, because you are someone very motivated. Seeing the way you wrote about soccer makes me want to learn more about what other things you have in mind. Im very moved by your post “Professional Soccer In Oakland”. What moved me about your post is how you show a professional soccer team in Oakland can benefit not just the youth but the community as well. Its a great idea to put a sport into a community in order to benefit it in more than one way. Thank you for taking your time to write this and share it out on Youth Voices. I look forward to reading your other post in the future! I am really inspired by your piece, “Professional Soccer in Oakland” because I agree with everything you said. It stood out to me that you tied soccer to school and life. How soccer motivates athletes to do better in school. If we had a professional soccer team in Oakland, kids will be more motivated to do better because they would want to be in the team. And the skills they gain in the field like how to be a leader and communicate with others will help them out in their life. Thanks for writing your piece on the best sport in the world. 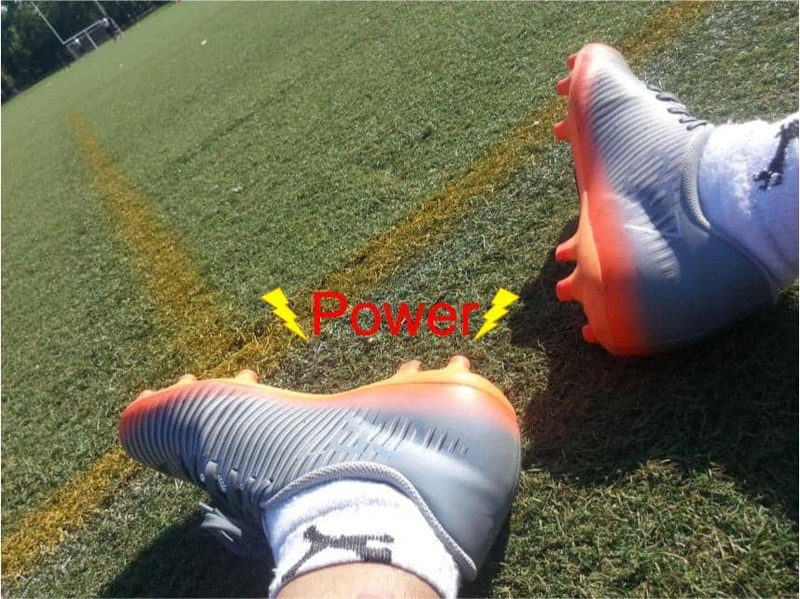 Keep on writing and never stop playing soccer! Yes I play soccer. I am a defender and I like to work as a team with my friends. I like that soccer helps me forget about any problems and I can just have fun. By the way, Barcelona is the best team!!!!!!!! I very much agree there should be a professional soccer team to represent Oakland and I also agree that it will bring the sports out of most Oakland citizens and can bring joy and better well being for people who live in this city. I am interested in your shadow box because you are showing what you like or admire in your life. You show your love in the sport soccer and that Cristiano Ronaldo is your favorite soccer player. You have a headband to keep your hair back so when you are in a soccer match, your hair don’t get in your way. I think this shadow box is a good project because you are showing everyone your work and what you love. A question I have for you and your shadow box is what do the earphones mean in your box and how do they represent your life. Thanks for your writing, I look to seeing what you write next, because what you write is interesting and catches my eye. Then the soccer cleats and other soccer objects you put is interesting. Thank you for sharing your work. My name is Terrill and I am a student at Fremont High School. 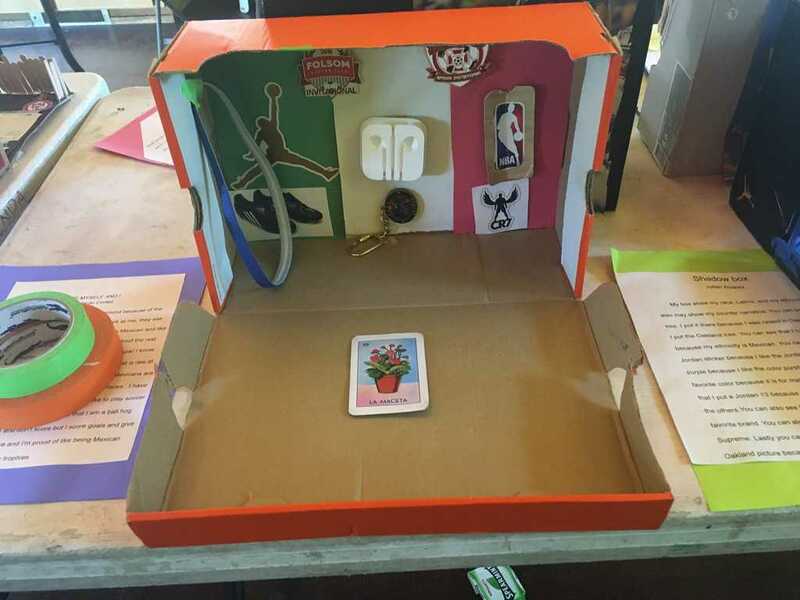 Something I liked about your work was the earphones and the jordan sign in the back of the box. Something I have a question about is how long did it take you to do it. Please feel free to comment on my work in the future. The address of my student blog is https://terrilllfhs2021.edublogs.org/wp-admin/index.php?page=msreader.php. Gildardo by is licensed under a Creative Commons Attribution-ShareAlike 4.0 International License.